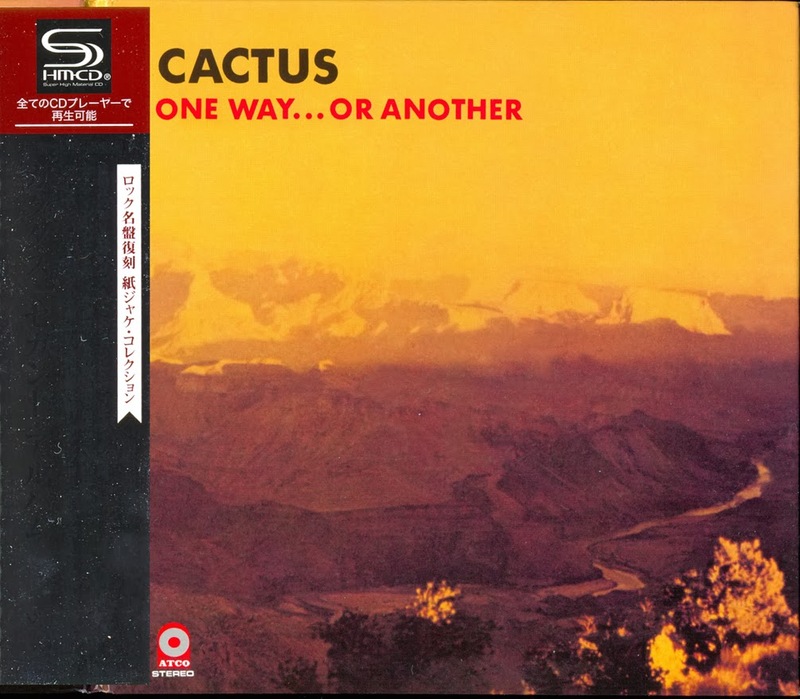 One Way... Or Another (1971) was the second studio outing to feature the incipient incarnation of supergroup Cactus, comprised of Vanilla Fudge rhythm section Carmine Appice (drums) and Tim Bogert (bass), as well as former Amboy Dukes lead vocalist Rusty Day (vocals/mouth harp), and Jim McCarty (guitar) from Mitch Ryder & the Detroit Wheels and the Buddy Miles Express. Even as their debut was ostensibly rawer, they retained the same amp'ed-up electric blues reminiscent of early Grand Funk Railroad and Foghat. The more polished outcome heard on their sophomore effort is undoubtedly the direct result of assistance from recording engineer extraordinaire Eddie Kramer and their upgraded digs at the recently completed Electric Lady Studios, which they inhabited shortly after the passing of the facilities' owner, Jimi Hendrix. Immediately, the proceedings are thrust into high gear with a languorous and seething interpretation of Little Richard's "Long Tall Sally." While not the extended barnburner it became in concert, it gets things off to a rousing start. The lightweight up-tempo "Rockout, Whatever You Feel Like" could easily be mistaken for Jo Jo Gunne, especially in Day's vocal asides, strongly recalling Jay Ferguson and company. "Rock 'N' Roll Children" is a heavier number with McCarty unleashing rounds of impressive and impellent fretwork churning atop the simmering backbeat. 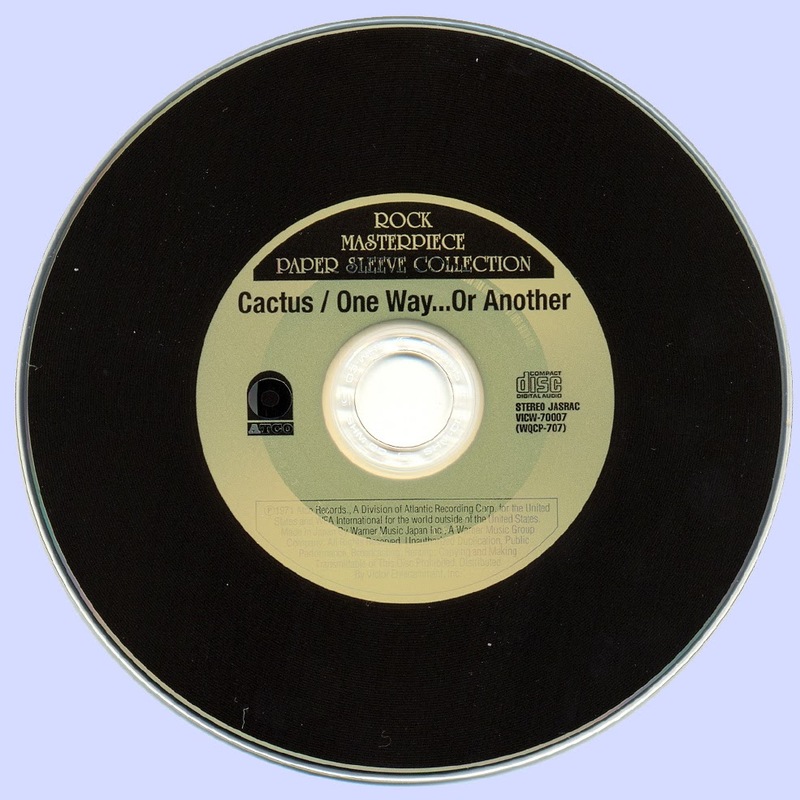 Cactus do what they do best, returning to their boogie rock roots on the suitably named "Big Mama Boogie - Parts 1 & 2." McCarty's pumping acoustic opening is perfectly augmented by some organic mouth harp courtesy of Day before launching into an explosive assault of pure, unadulterated proto- metal. The cover of Chuck Willis' "Feel So Bad" is given a sizable shakedown, yet doesn't quite seem to live up to its potential. The opposite can be said of the understated "Song for Aries." Although clocking in at just under three minutes, the instrumental is a showcase for McCarty's immorally underrated lead guitar. The long-player concludes with two full-blown centerpieces, revealing Cactus' strength as a formidable powerhouse combo on the autobiographically-inspired rave-up "Hometown Bust." Fittingly, this lineup and album come to an end on a high note with the title track "One Way...Or Another." The number is quite possibly the finest original to have been worked up by the band. The cut blazes from tip-to-tail and if the primary riff seems familiar, that may be because it was lifted almost verbatim from Jeff Beck's Beck-Ola-era tune "Rice Pudding." However in Cactus' care, it stomps with a bit more crunch and no-nonsense attitude.